First Things i see when i come out from the plane.."we're HERE in LANGKAWI!! wEEEE.. beer! beer! beer!, liquor! liquor! liquor!" . TAX-Free Island! THen...where to go ar? how to go ar??? 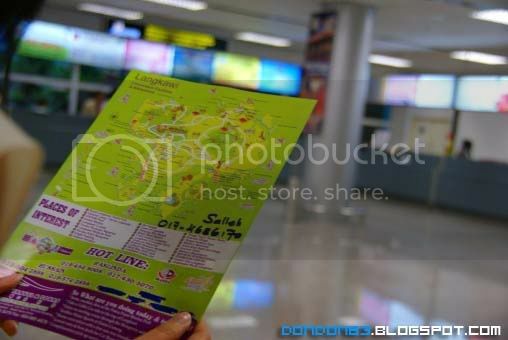 so we.. Get a MAP, Get A CAR.. , get a HOTEL!!! settle everything 1st. 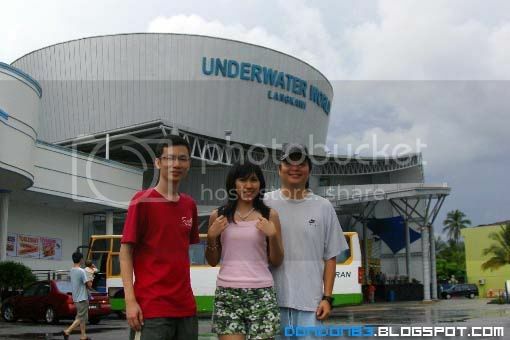 got complain i also want mention gelar.. how inside underwater look like? nah~ you're in water.. hahaha. joking joking. 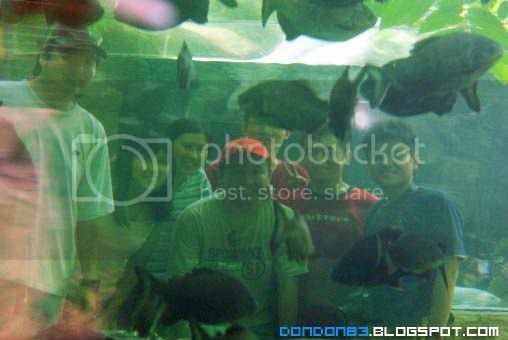 :p . this is a picture take from others side of the big aquarium. 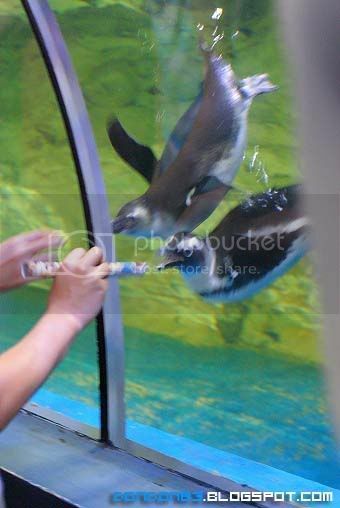 Pengiuns inside the huge aquarium. 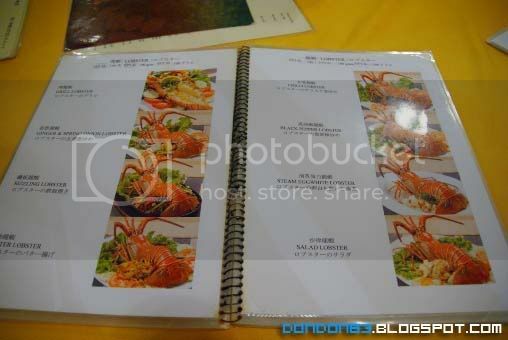 hmmph.. i bet they are hungry.. haahha. bite the paper if you can. hahaha. some rare species you don't see everyday ? 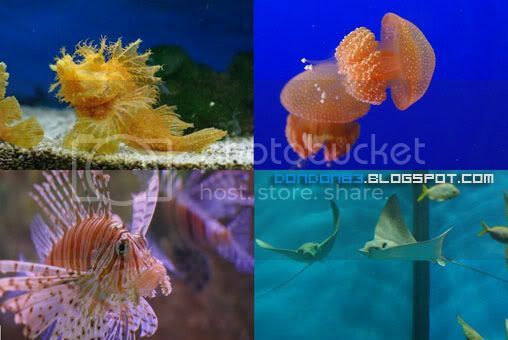 can be found in underwaterworld. 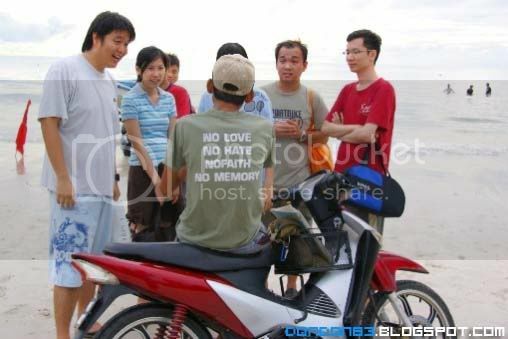 then.. we move on to our next activities... need to talk business to this guy to make sure words behind his shirt didn't happen . hahaha. guess what we up to ? 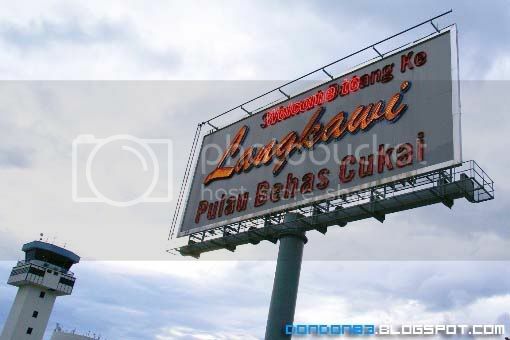 what's special about langkawi... LIQUOR!!! hahaha tax-free mar.. grab a bottle for tonight activities. 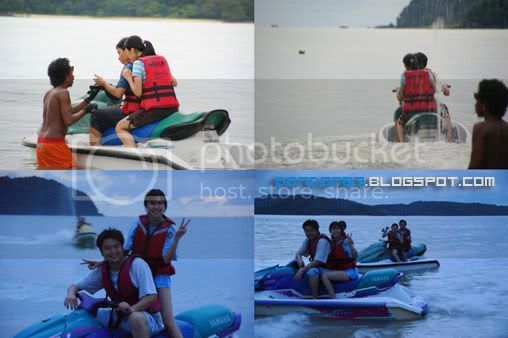 hehehe oh ya.. we went to langkawi for Mok'S brothers birthday. hehehehe .heard liquor is their favourite.. heheh bet they love this island. Night fall.. is time to get the 2 birthday boy drunk. 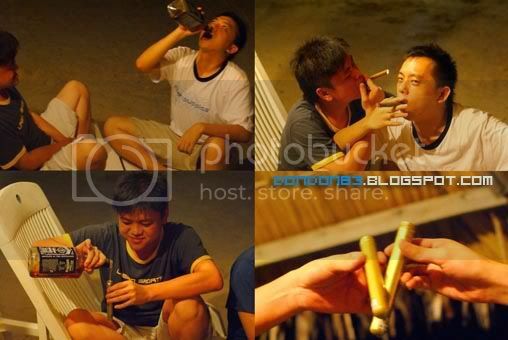 hahaha oh.. they said cigar here also very cheap. hahaha. then.. after finished the liquor.. someone become president of US.. explaining the economy of US (OMG!! CAN i go to sleep?). haha.. poor little Mr.Birthday..
wah! 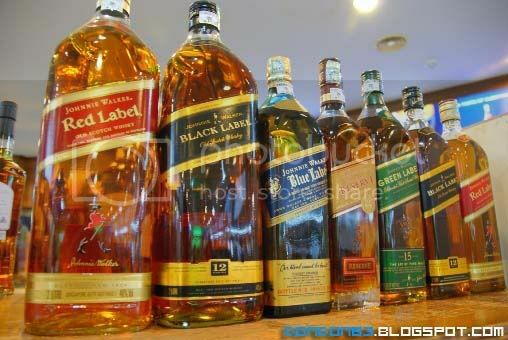 didn't buy JW Blue Label back while u r at Langkawi. Dare to snap the picture and didn't give us the real item. Okay the christmas present this year will be JW Blue Label 1L. i just came back from there too! love the chocs n liquor!